With four decisive games out of five, the penultimate round has turned into the most violent one in Shamkir so far. Magnus Carlsen has taken yet another step towards the tournament triumph by outplaying Anish Giri as Black in the English Opening. The world champion characterized the game as a complex but an interesting one. Magnus Carlsen was happy about the outcome of the opening. “I sacrificed a pawn, but had two bishops and initiative for it,” he said. 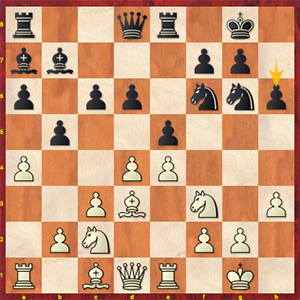 Black went for 12…f5, here, sacrificing a pawn after 13.Bxb6 cxb6 14. Nxa4. However, the amount of initiative generated by the Norwegian after 14…Bg5 15. Bc3 e4 was tremendous. “I have had this line prepared with my seconds from long ago. Besides, it has been tested by Aronian. It was not something that I anticipated to see over the board today, but if White is caught unawares, finding your way around the maze of complications is not something to look forward to. I think he should have been better versed in the ins and outs of this line. I had an edge in the middlegame, and then he was sort of back in the game, but after move forty I was again in control,"- added the world champion. Magnus Carlsen, “No such luck in a practical game - I do not think so. White might have some theoretical drawing chances, but keeping this position together over the board is next to impossible. Rh3 is an immediate loser, of course. I think Anish looked into many grim-looking alternatives and made up his mind to go for something sharp, but it was a disaster in the end. 41. Rh3? Qd5+ 42. Kg1 Qe4 43. 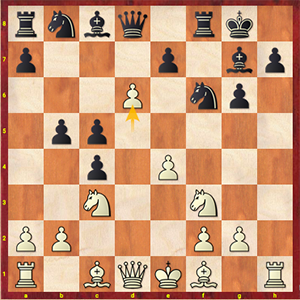 Qb4 Rf6 White resigns. Rauf Mamedov was up to the challenge defending an unpleasant rook ending against Ding Liren, committing a fatal error only shortly before the time control move. Balance was maintained by 37…Kf6, whereas in the game after 38. Kg3! 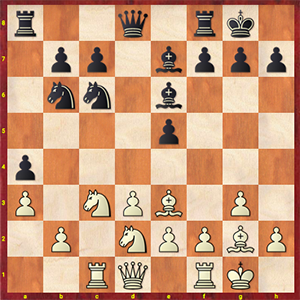 the black army never managed to arrive at any harmonious setup: 38…Rf6 39. h4 g5 40. Rh8+ Kg6 41. Rg8+Kf5 42. Rxg5+. Black resigns. Thus, the Chinese grandmaster is in hot pursuit of the leading champion, whom he faces as Black in the ultimate round, by the way. Going down a second time in a row is the former tournament leader Veselin Topalov. Radoslaw Wojtaszek, being a second player in this duel, managed to catch him off guard and get a very promising game. Black was building up, and good advice was beyond price for White by move 25 already. The Polish grandmaster had the following to share about the encounter: “Prior to this game Veselin and I have had games in the Najdorf only, me winning the first encounter and him the other two. 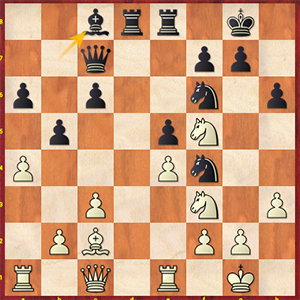 This is why I have made up my mind to change the strategy and go for the Ruy Lopez sideline 5…Bc5. In lieu of 8. Re1 he should have opted for 8. 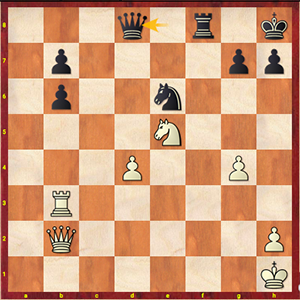 Bg5, giving rise to a very unclear position on the board. What happened in the game was an improved version of many lines for me. 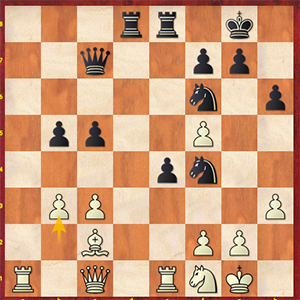 I think he erred with 16. dxe5, giving me a very straightforward play. I think he should rather have dropped his bishop to f1. White is very well compensated for the missing e4-pawn in this case, in my opinion. In lieu of 22. Nh2. White fares better by placing his bishop on g3. Black is for choice here, of course, but it is far from anything substantial yet. Instead, White found himself in a very unpleasant situation; however, 22…Bxf5 23. exf5 e4 is hardly defensible in a practical game. I calculated the line till the very end when playing 26…Nd3: 27. Bxd3 exd3 28. Rxe8+ Rxe8 29. c4 Re2 30. cxb5 Qe5”. 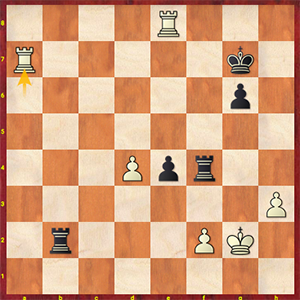 White resigned shortly after. Shakhriyar Mamedyarov has made his fans happy by defeating David Navara with the white pieces, the latter having suffered a fourth defeat in a row. 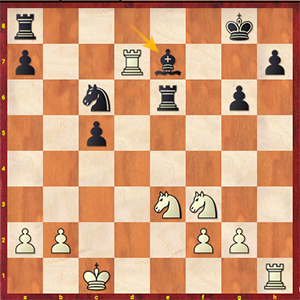 The opening was one of the Grunfeld Defense’s sharp lines. Shakhriyar Mamedyarov, “I had this position against Maxime Vachier-Lagrave four years ago, and David seemed unprepared for such a turn of events. He does not favor 2…g6 that much, and I myself have absolutely forgotten the entire line, which I have analyzed for the Candidates Tournament. Back then we were looking into 10. d6 and believed White to be for preference. Beginning with 10…exd6 I was left to my own devices as I failed to recall any concrete lines. Black erred with 23…Be7? and gave White tactical means to win a pawn: 24. Rxh7! Shakhriyar: “24…Rb8 immediately fails to 25. Nd5!, whereas I played 25. Rc7, and then 25. Nd5 caught my attention almost immediately after and my spirits sagged. I could not pull myself together afterwards. I might have easily won this position at the start, but at this stage there is a feeling that the competition is nearly over, and winning the game is not going to change much for you in practically terms. Nevertheless, I am happy that the Azeri players have at least one victory under their belt in this event. Teimour Radjabov vs Sergey Karjakin was a draw. Both opponents have demonstrated deep preparation in the Meran variation of the Slav Defence, in which the fight was neither a roller coaster ride nor had any unjustified risks. A draw was agreed in a rook ending after move 40. When the press conference was over, Sergey commented on the course of the struggle as follows, "Today the game was complex and double edged, but, in general, it never left the realms of equality. I essayed to initiate some sort of fight as Black, this being my last chance to stake any claims for the highest place, but Teimour was up to it, and winning on demand as Black is known to be far from an easy undertaking. Therefore, I regard this draw as a logical outcome. Thus, going into the final round Magnus Carlsen is half a point ahead of his closest pursuer Ding Liren, those two are the only players in a position to fight for the event. This said, a draw will not do for the Chinese player. A point and a half behind the leader are Veselin Topalov, Anish Giri, Sergey Karjakin, Teimour Radjabov, Radoslaw Wojtaszek and Shakhriyar Mamedyarov. Navara - Radjabov, Mamedov - Mamedyarov, Carlsen - Ding Liren, Wojtaszek - Giri, Karjakin - Topalov.